Since 1946, Boardman-Hamilton Company has delivered quality insurance solutions to individuals in Pennsylvania, specializing in Homeowners and Business insurance coverage. We’ve served individuals and businesses in Pennsylvania for 70 years and we believe in honesty, integrity, and expedience. By acting on our beliefs, by giving clients the best possible products and services. We’re a generalist agency and we work with numerous carriers. 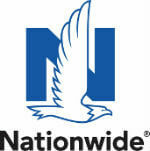 We have a wide variety of insurance options, including home, auto, life, and health policies. Our business program along with our options for specific industries allows us to give you various options, while keeping your businesses covered. We tailor your policies to fit you individual and business needs. If you run a business and have employees, see our employee coverage page. We combine policies whenever possible, and we’ll combine them for you. Ask an agent about your combination options. To learn more about our offerings, see our products page. We’re a neighborhood agency, not a conglomerate. We’re accessible, friendly, and swift. We can give you the insurance that a major company can and we can also give you the personal service that makes buying and using insurance easy. We’ll work closely with you to create your solutions and we’ll monitor the solutions that we create once they’re in place. We’ll manage risk and claims and we’ll be reachable at almost any time. I never mind contacting anyone at your office. It is such a pleasure dealing with your group. Until I took the 'leap of faith' changing my insurance brokers, i could never have imagined such excellent service. Sam, you have been an enormous help throughout this somewhat complicated renewal period. But, honestly, you have made this process so easy for us. We are most appreciative of your willingness to find us ways to save money, your frequent, understandable communication, and your responsiveness. It is truly a pleasure doing business with you and your company! "Adam was very prompt. Very informative and a pleasure to work with. I give them 10 out of 10!"